We all know that designing a polished user-interface by crafting code can be a slow and tedious process. 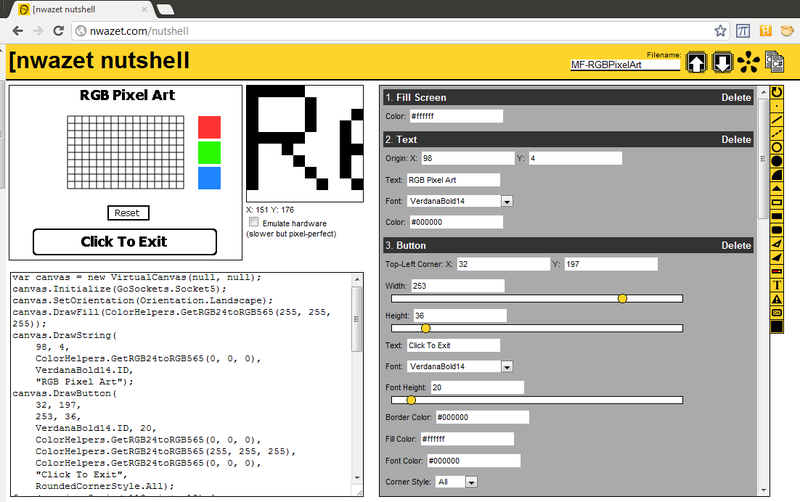 So, we created a visual design tool called Nutshell for our Netduino Go! Touch Display module: Nutshell offers access to most of the features supported by the Touch Display’s API and generates the corresponding C# code on the fly for you. Just copy/paste the resulting code in Visual Studio when you’re done!